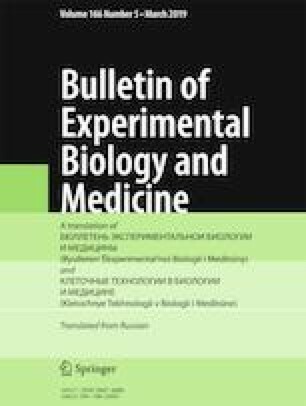 The study presents the results of behavioral phenotyping of rats with experimental chronic obstructive pulmonary disease (eCOPD) of different severity modeled by using a combination of inductors (purified papain and bacterial LPS) in increasing concentrations. Locomotor and exploratory activity, spatial memory, and anxiety were evaluated. In mild eCOPD, locomotor and exploratory activity increased, while other parameters did not differ from the control values. Rats with moderate eCOPD demonstrated moderately restricted locomotor function and increased anxiety. Severe eCOPD was associated with pronounced changes in all analyzed parameters. Correlation analysis revealed relationships between some behavioral parameters and blood oxygen saturation, inspiratory lung volume, and respiration rate. This indicates the role of respiratory failure in the pathogenesis of cognitive disorders.